A video tutorial is available at the bottom of this article. 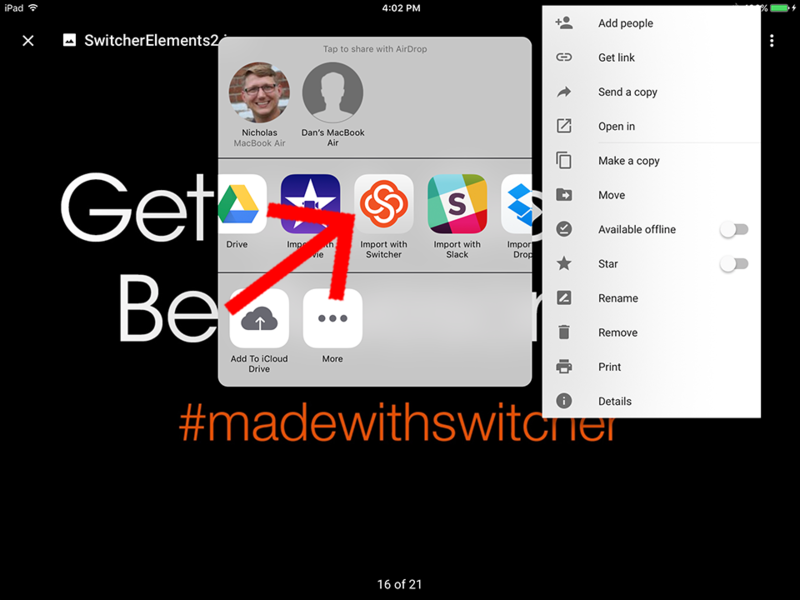 You can easily get images and videos from your Google Drive and Dropbox accounts into Switcher Studio. 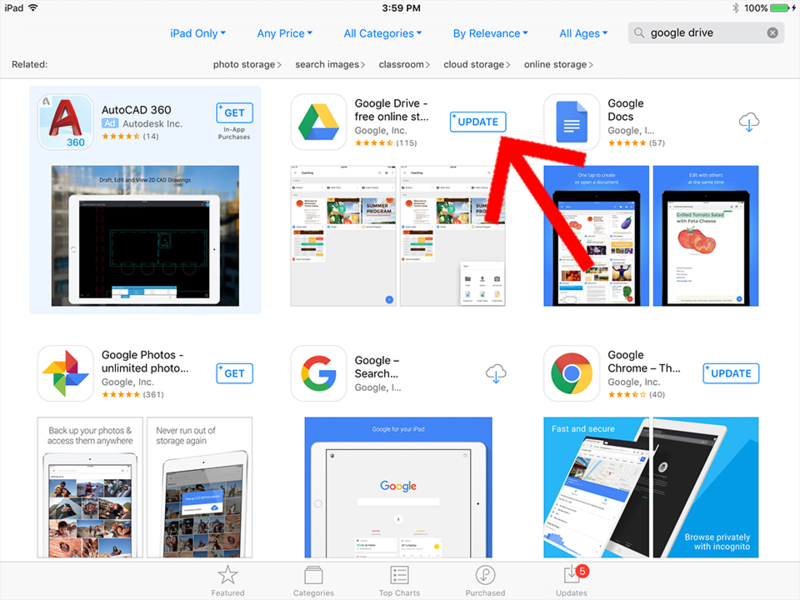 Begin by downloading the Dropbox and Google Drive apps to your iOS device, if you have not done so already. Let’s start with Google Drive first. 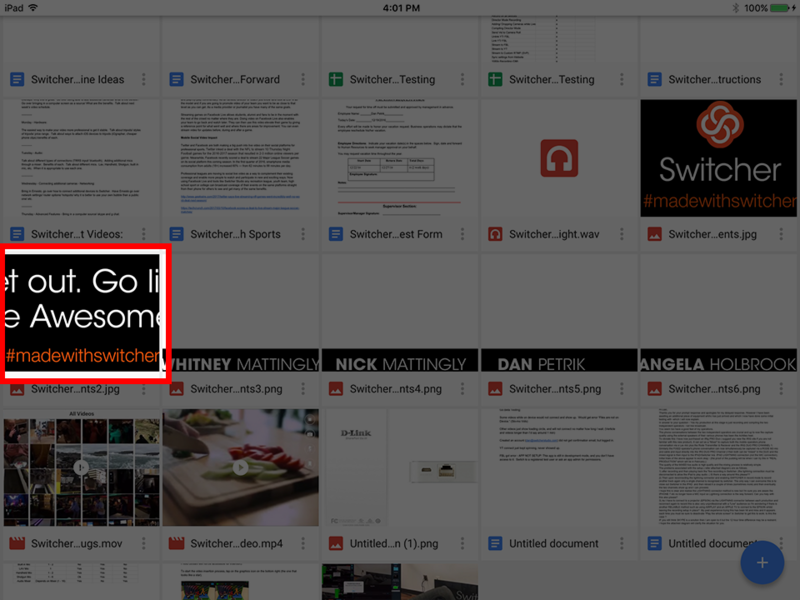 Open Google Drive on the iOS device. 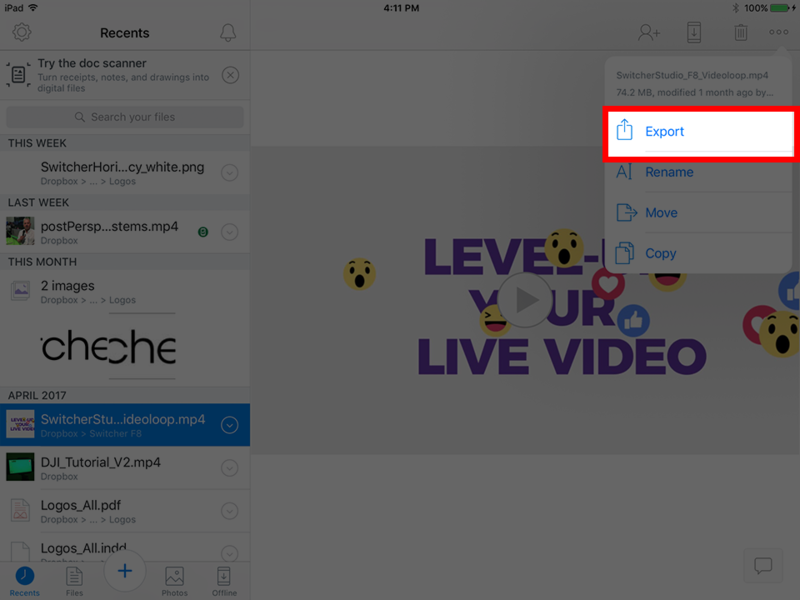 Navigate the app until you find the graphic or video you want to bring in. Tap on the asset to import. Both pictures and videos can be imported. In the upper-right corner, you will see an icon of three vertical dots. Tap there. Now, tap on “Open In”. 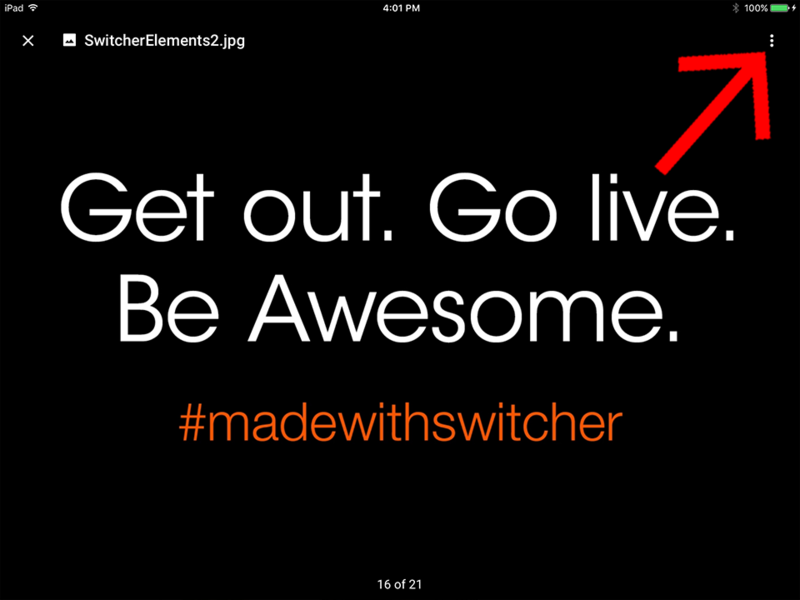 Scroll over until you see “Import with Switcher”. Tap on the Switcher icon. 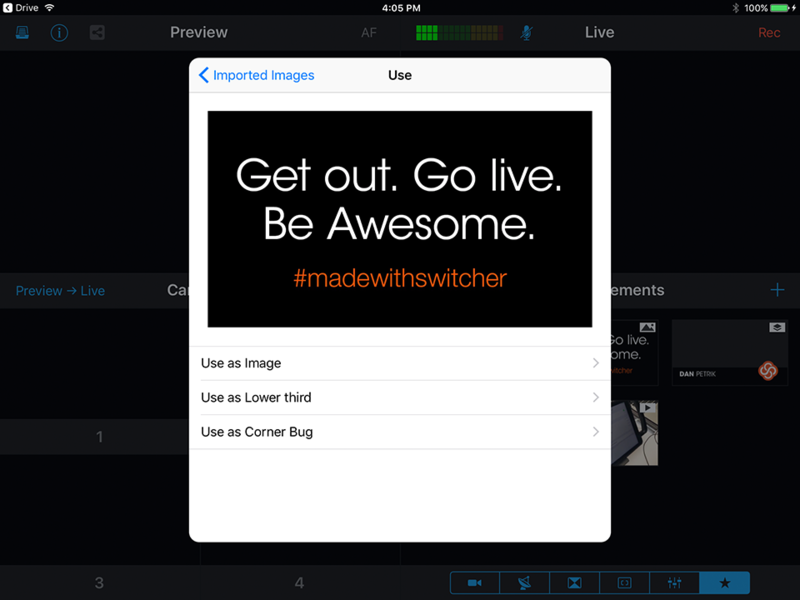 Switcher Studio will open. Tap on the plus icon to bring up the Assets Menu. 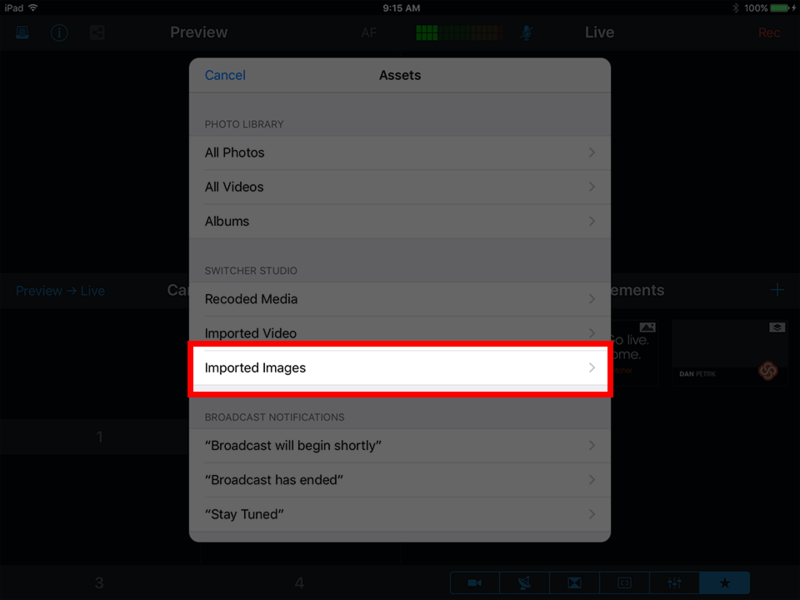 This time, look under Imported Images. The image is now available to bring into your productions. Tap on the image you wish to import. 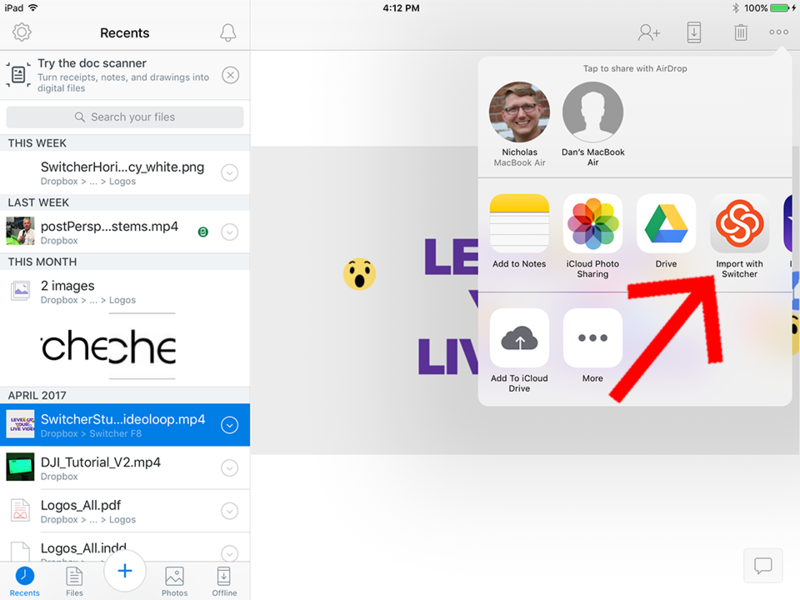 Note that graphic files you bring in from both Dropbox and Google Drive will show up in this folder. Now that we have brought in a graphic through Google Drive, let’s take a look at a video file through Dropbox. 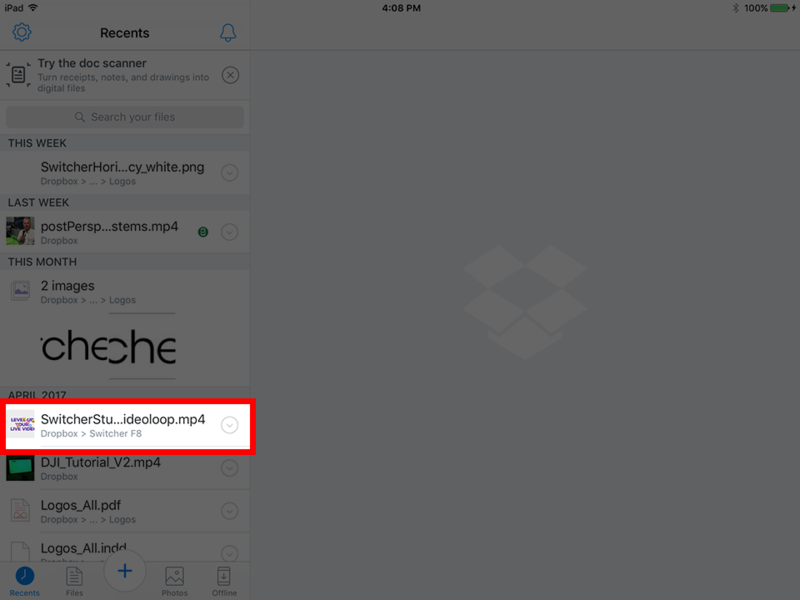 If you didn’t do it before, download the Dropbox app now, then open and login to your account. Like Google Drive, both videos and graphics can be chosen. Tap on the asset you wish to import. 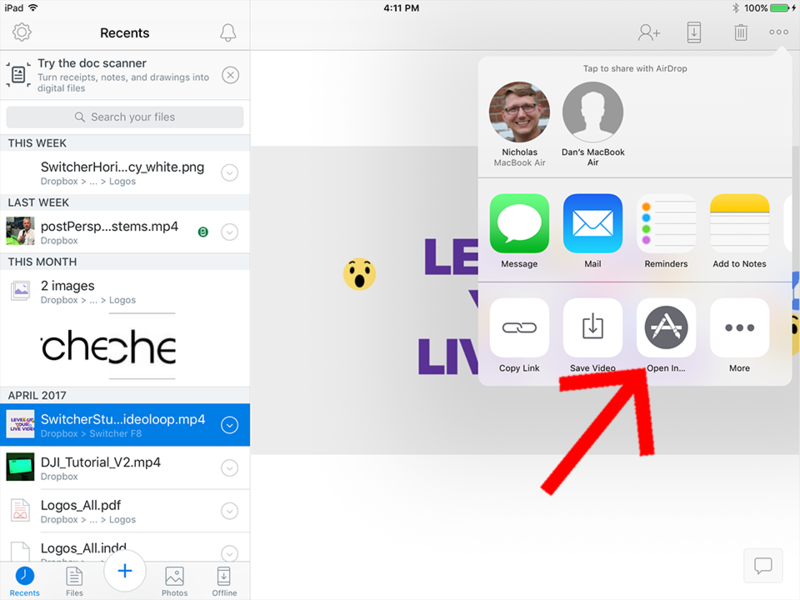 Now, tap on the horizontal three dots in the upper-right corner. 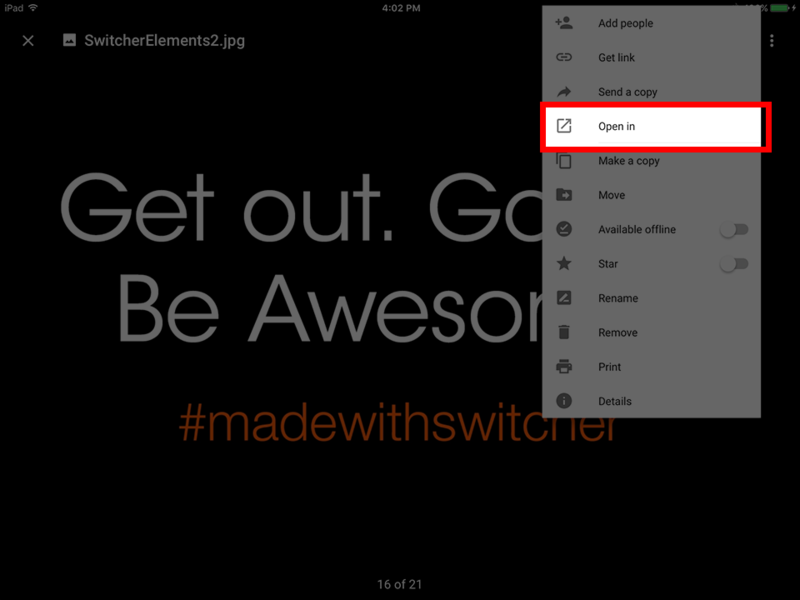 Now tap on the “Open In…” icon. 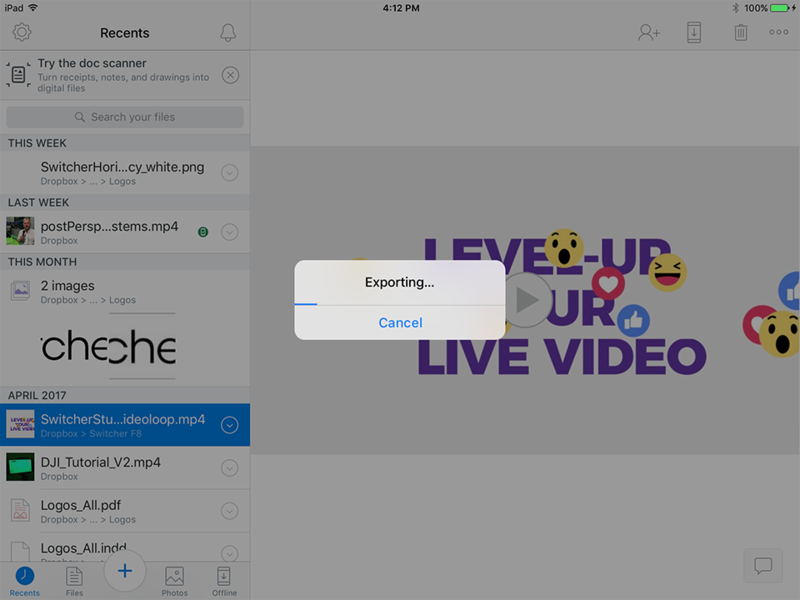 The video will start to export. 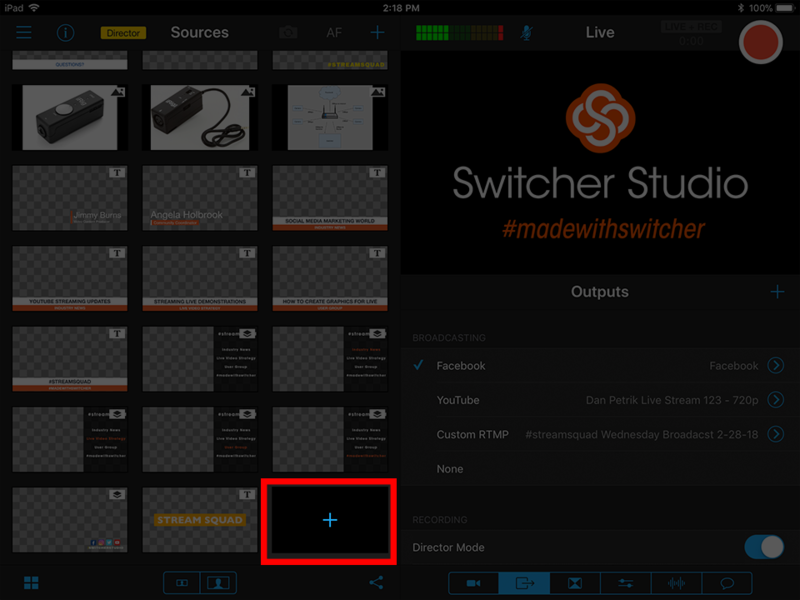 Scroll to the right until you see “Import With Switcher”. 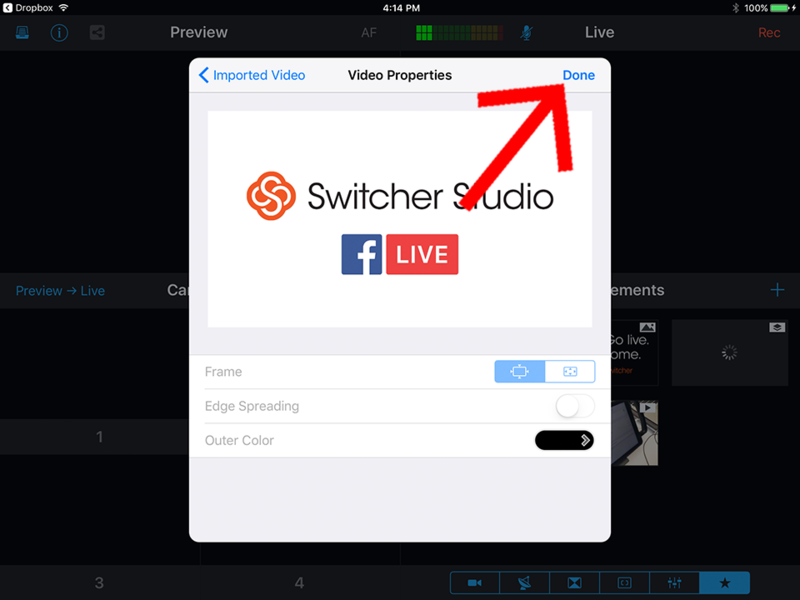 The file is now in Switcher Studio. 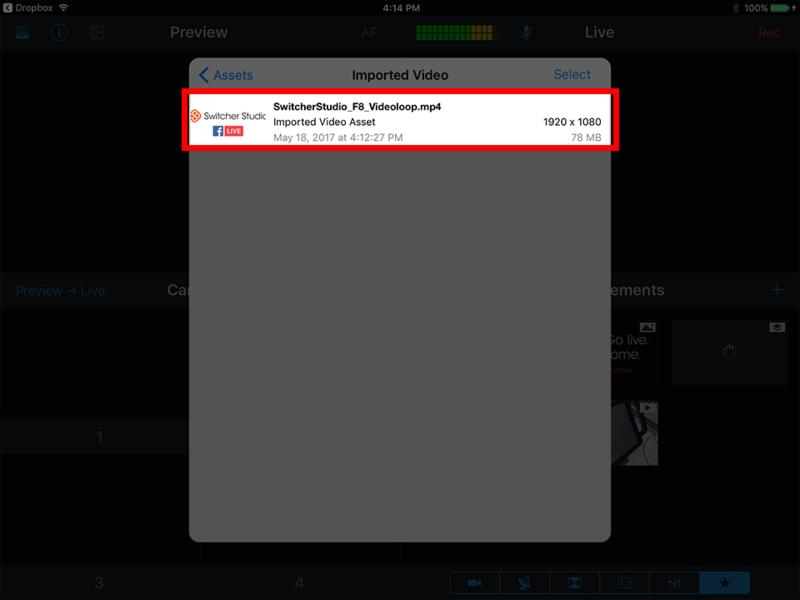 Back in the Assets selection, this time choose “Imported Video” under Switcher Studio. The video you imported will be available. 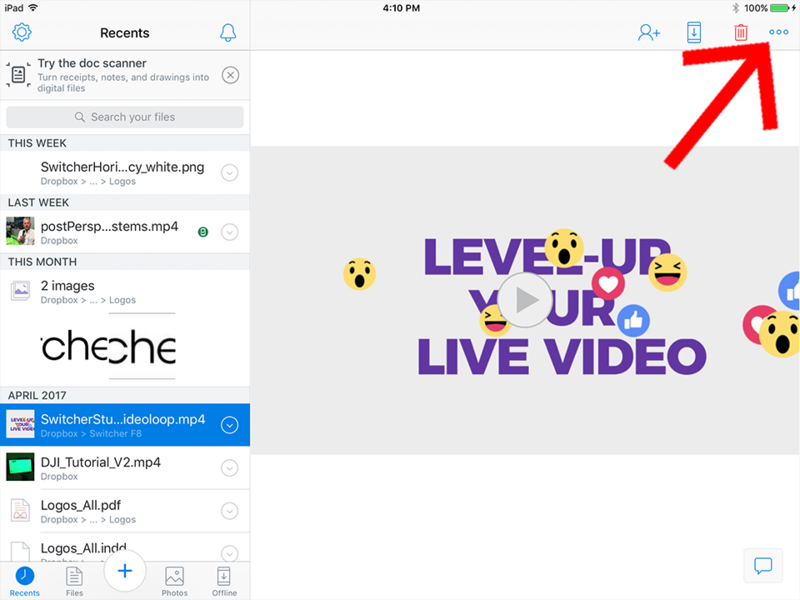 Tap on the video asset. 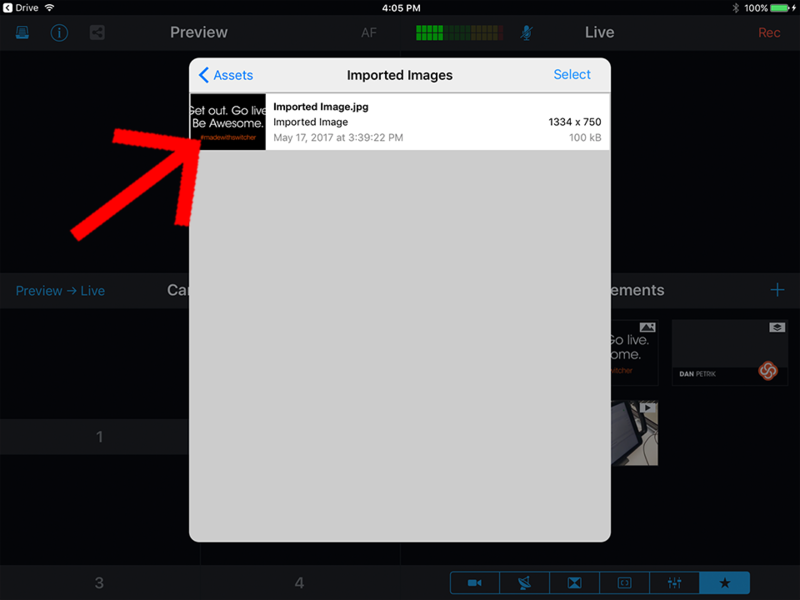 Next, tap "Done" in the upper-right corner. Videos brought in through Google Drive will also show up in this folder. Assets brought in through Google Drive and Dropbox can only be imported one at a time.